Love and Light Magnetic's: MESSAGE FROM THE ANDROMEDA GALAXY: FORGET, WHO YOU ARE NOT! MESSAGE FROM THE ANDROMEDA GALAXY: FORGET, WHO YOU ARE NOT! We Are from the Domain of Fire and Light, of Unity of all Souls and Sacred Divine Core Essence in the Andromeda Galaxy. With Joy we are observing the splendid progress on your earth. Gaia is in our heart and attention and we are bathing Her with our Love and the Divine Light of Highest Source! Dear humanity, we embrace you and shower our deepest and widest Blessings on you as you are growing beyond your state and condition of unconscious sleep into the clear radiance of a new day! 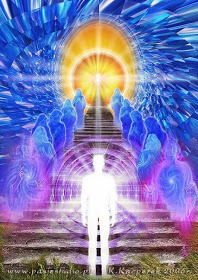 In Reality your ascension is already accomplished in the Higher Realms, it is only that the lower fields of density must follow their liberation into the light. We would like to remind you that this is being done by each and every one of you with your pure heart. But if you still need purification to let it shine, all your lower vibrating emotions must find their way out of your system, you must release them into the utter radiance of love! This requires you to perform a very simple, but perhaps for some of you, difficult action!It is about releasing your victim consciousness! All your lower emotions, such as anger, fear, guilt, sorrow, are born from victim consciousness only! It is based on the false presumption that any outer circumstance could have arestricting influence on your Divinity, as you forgot the Divine Essence that you Are, or on the illusion that this Essence could even bediminished! Beloved Ones, the great transformation is this: acknowledge Who You Are! Remember Yourself, remember Your Divine heritage and wake up from that illusionary dream of being an organism merely, that is subject to outer circumstances.When you subdue yourself to a lower creation, you give your Highest Truth away! You give Divine Reality away, convinced by a lie that has been pervading your human consciousness for a while now,imagining separateness, as if you were separate from Divine Consciousness. You forget Who You Are, instead to forget who you are NOT!Therefore we remind you: forget who you are NOT! This is how you transcend victim consciousness! You Are not a separate body-mindthat could be victimized! You Are that Forever Untouched, One Divine Consciousness, that Radiance, that Love Only. The body-mind is merely the tool to experience what you desire to experience. How could Love feel guilty, and how could Light be inflicted by conditional circumstances! How could lower density have an impact on the Freedom of Divine Radiance.It is the fabrication of your mind, so that you seem to be lost in the profound error of this illusion! Merely your BELIEF creates the dark dream of defeat and unhappiness, the companions of victim consciousness.Therefore, if you put your Belief right, Everything else becomes Rightful! And it is not about becoming ‘better’, to ‘improve’ your limited personality, but it is about right understanding ofWho You Are! Who You Are, is notafflicted in any way by that personality! To wake up to your true identity - this is the quantum leap to the other side, to your Own True Reality. We can see this Truth shining undiminished in everyone ofyou, but some of you are still looking into the wrong direction! So when you purify your heart from all theses errors of what you are NOT, it starts to radiate. There is indeed nothing to achieve, but only to release! Then Happiness pervades you. And the golden warmness of Love pours out of your heart and fills your whole being, so that you ARE It. Beloved Ones, only understand your errors and do not feel guilty! There is None in the heavens that ever is condemning you, but you yourself are condemning yourself. And this holds you tight to your errors! Therefore, forgive yourself the error of ignorance and stand up to what you truly Are. Disregard, but do not suppress or deny, what stands against it, the suffering, the separateness, the re-action to a lower world and your mistaken identification with it. The purity of your heart which is nothing else but allowing your own Truth to shine, is the miracle that shifts you into the Higher Reality, unifies you with It, makes you One with It. And that is how you will experience your ascension, recognizing that Everything is Already Divine, no matter where you are in Space and Time. We are admiring you who are the heroes of this grandiose shift! You are working on the Glorification and Deification of this universe, and thereby of all universes. This illumination of yours is spreading like bright flames through the galaxy, igniting the sparks of Divine Creation everywhere, so that they become fires of Adoration, Worship and Realization of Divinity! We thank you! We love you! Our Love merges with your Love, and in It we are One.